My name is Lorena and I have a beautiful Working Cocker Spaniel named Harvey, I formed Chelsea Hot Dogs not long after getting him because I wanted to be around and work with dogs full time after previously working as an accountant for almost 15 years. Life is too short not to follow our dreams and do things that makes us happy! 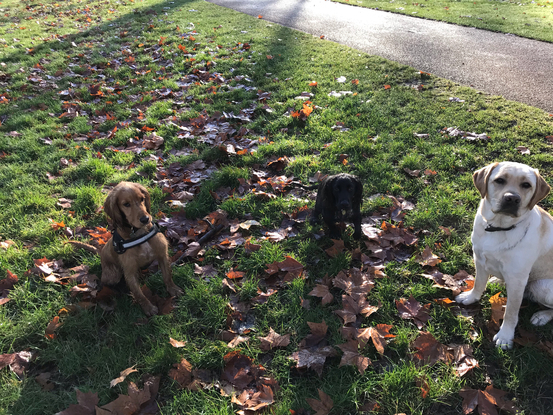 We offer professional dog walking, doggy day care and boarding services in Central and West London with the utmost flexibility, seven days a week, from early morning until late in the evening. 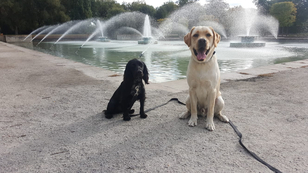 Your dogs safety, well-being and happiness are our priorities and we aim to become their 'second' best friend in life. They will be treated like one of our own and we will provide you with their daily route though our GPS service together with photos of their adventures so you can see what they've been up to. We can also collect and drop off your little buddy at a time that suits you. Needless to say Harvey loves my change of career as he gets to play with his furry friends every day!